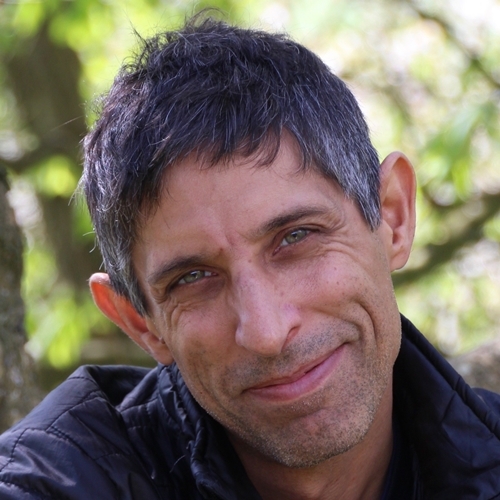 Michael K Sahota guides and teaches leaders how to create high-performance organizations. He is the creator of a proven system for leading change through a practical playbook. His model for Consciously Approaching Agile guides the creation of a cultural and leadership context where Agile drives lasting organizational results. As a Certified Agile Leadership (CAL) Educator with the Scrum Alliance, Michael teaches on a worldwide basis. His highly accoladed Certified Agile Leadership (CAL 1 & 2) Trainings reflects his growth and capability as a leader. He has been traveling to India for the past 4 years in an intense study of personal growth and transformation for his own leadership path. He practices and models what he teaches to create transformative experiences. You can find his upcoming trainings here. Since 2001, Michael has been guiding success with Agile. Since 2010, he has held his Certified Enterprise Coach (CEC) designation. In 2012, he published the ground-breaking book "An Agile Adoption and Transformation Survival Guide: Working with Organizational Culture". In 2018, he published "Emotional Science: The Key to High Performance" Michael is working on his upcoming book on Culture and Leadership. 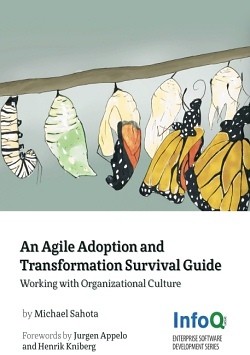 This book provides a set of essential thinking tools for understanding Agile adoption and transformation: how they differ and what you need to know to know to avoid being another statistic in the widespread adoption failure. In particular, you will learn how to use culture to work more effectively with your organization. If you enjoyed reading the free download version, please support the author and InfoQ's book series by purchasing the print edition. Wait a Minute - Kanban is Agile, isn’t it? Kanban is about Transformation, too!